The first week of January every year, the American Historical Association holds its annual meeting for thousands of historians. 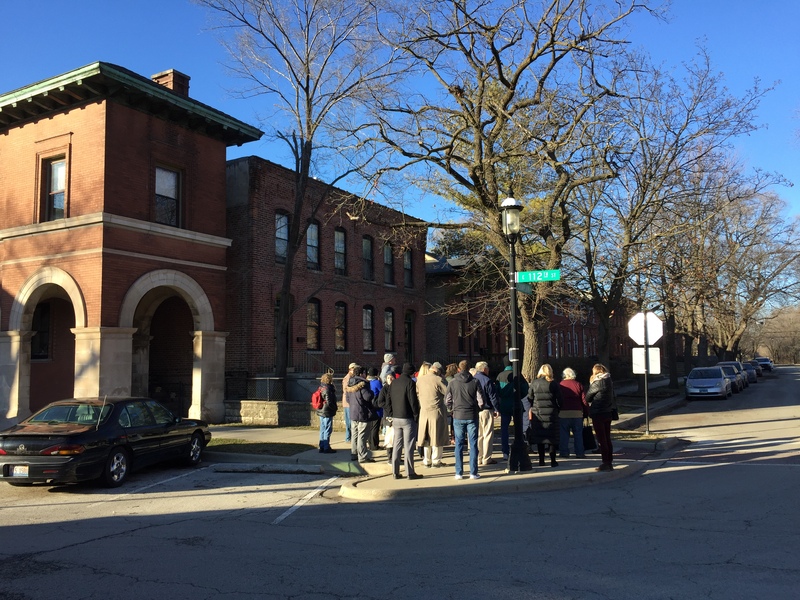 This year for the conference was in Chicago, so we took the opportunity to offer a tour to 25 attendees to come down to Pullman for the afternoon. The tour was organized by Sarah Scarlet and Laura Rouleau, and Steve Walton attended as well. 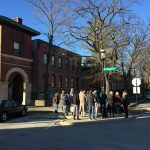 We spent about three hours walking around the planned community, lead by Michael Shymanski, president of the Historic Pullman Foundation. The attendees got to see inside the visitor Center, Greenstone church, and a restored worker’s flat (shown by Cynthia Martin-McMahon, HPFs vice-president. The theme of this year’s conference was “contested spaces” in Pullman certainly offers a excellent case study for that theme. For the last 45 minutes of the tour, we met in the HPF offices (the restored Masonic hall) and discussed both the contesting of the space, as well as how the tour changed the attendees’ perception of the town of Pullman.